Welcome to the first post of our new blog series: Zimbra Tech Skillz! Hello and welcome to our new series “Zimbra Tech Skillz”! 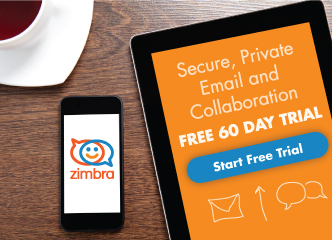 As the name says, this blog series will focus on technical aspects of Zimbra. We hope you enjoy! In Zimbra 8.8.9 (Curie), there is a new feature called Allow/Block/Quarantine (ABQ). ABQ is a “pre-emptive” security feature that ensures that only authorized mobile devices can synchronize with the Zimbra server. ABQ is an access control feature and will be included in the Mobile NG module of Zimbra Network Edition and in the Mobile+ module of Zimbra Suite Plus. For all of the technical details, click here. The Allow/Block/Quarantine (ABQ) feature allows for granular access control of mobile devices connecting to the Zimbra server. It’s a “pre-emptive” type of security feature, meaning that it acts upon the first connection to the server, and it’s made to ensure that only authorized devices can finalize the synchronization with the server. A Device Control list holds the information about allowed devices within the NG config engine. Devices can be added to the device control list via CLI based on their Device ID. The Authorization Engine takes care of checking new devices against the device control list and setting their ABQ status to the appropriate value. Nice security improvement in Zimbra. Will these feature included pop3 account also ?